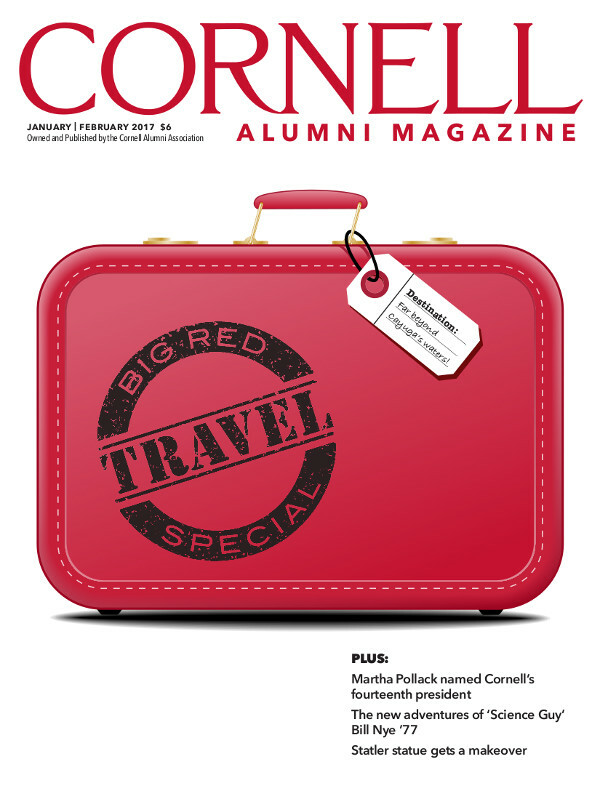 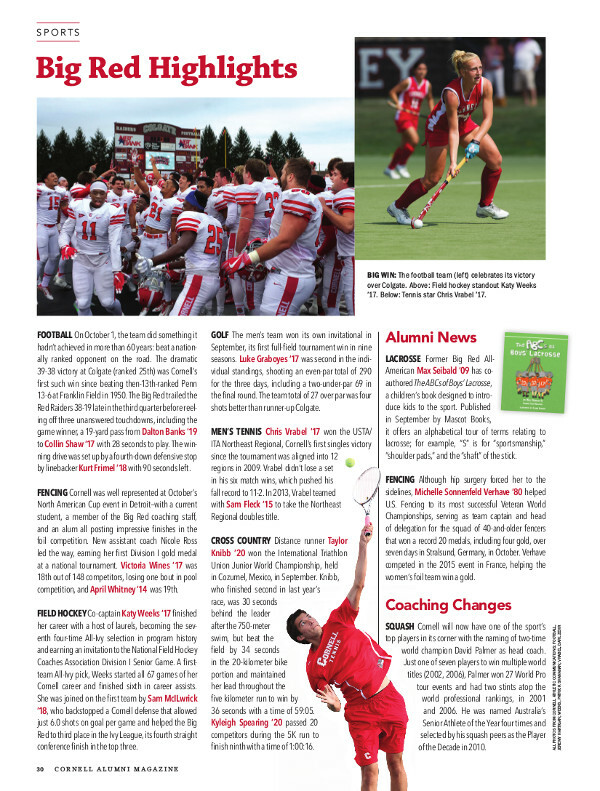 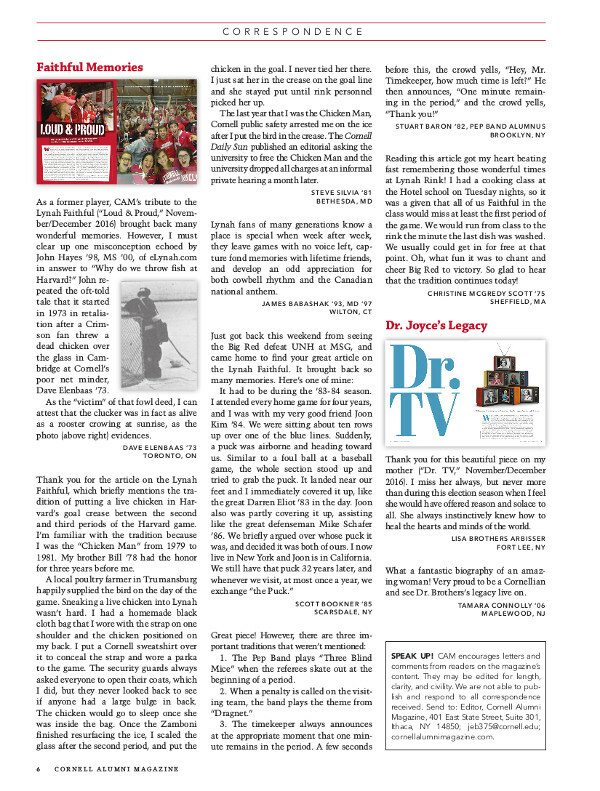 The Big Red travel special, new adventures of ‘Science Guy’ Bill Nye ’77, and more. 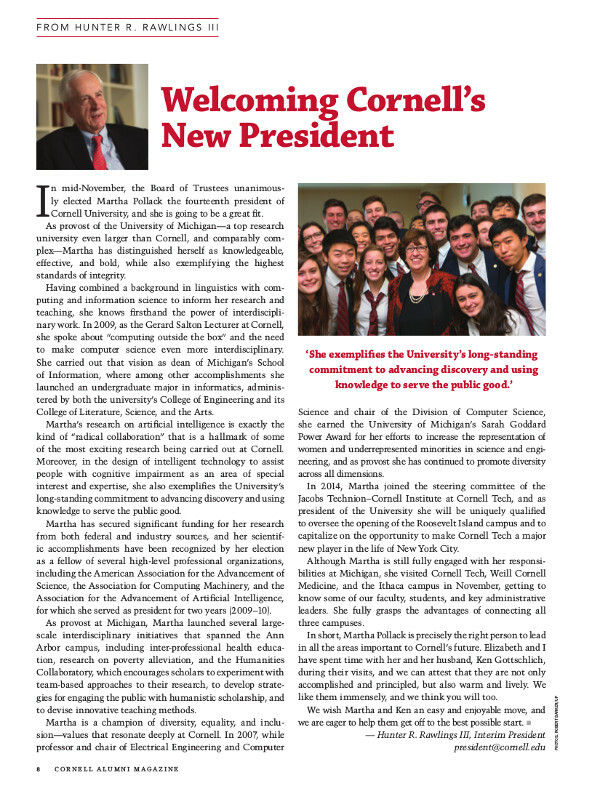 Download the PDF from our digital archives at the eCommons. 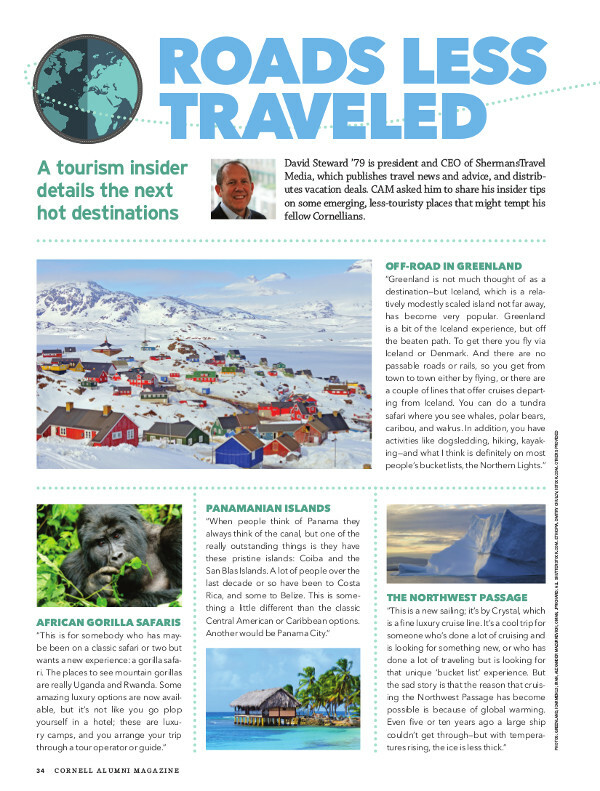 A tourism insider details the next hot destinations. 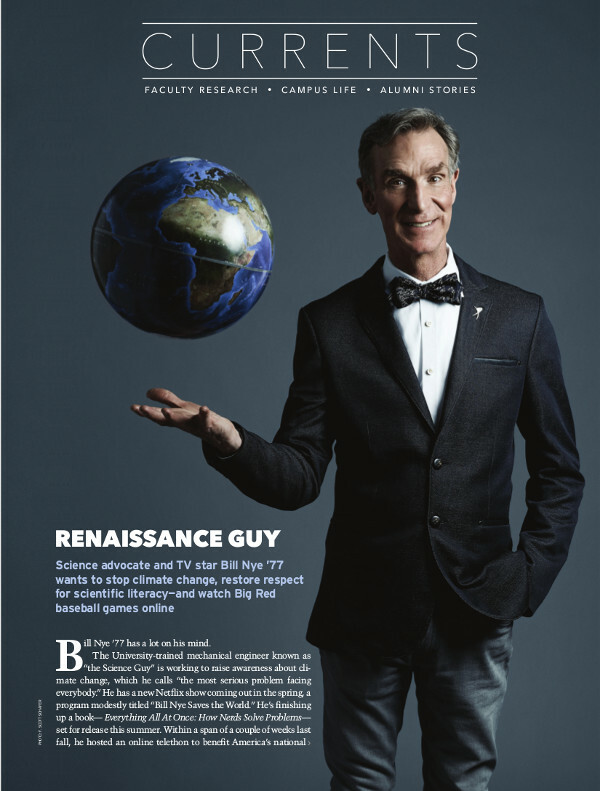 Science advocate and TV star Bill Nye ’77 wants to stop climate change, restore respect for scientific literacy—and watch Big Red baseball games online. 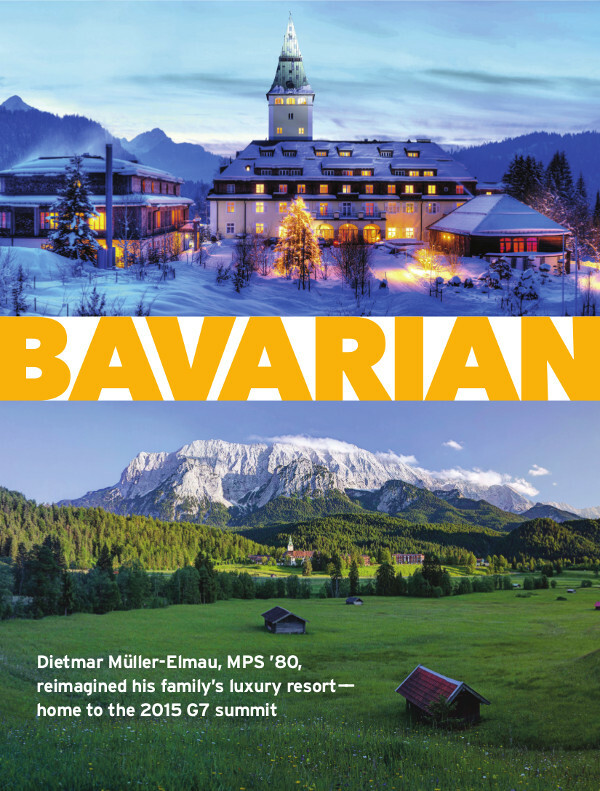 Dietmar Müller-Elmau, MPS ’80, reimagined his family’s luxury resort—home to the 2015 G7 summit. 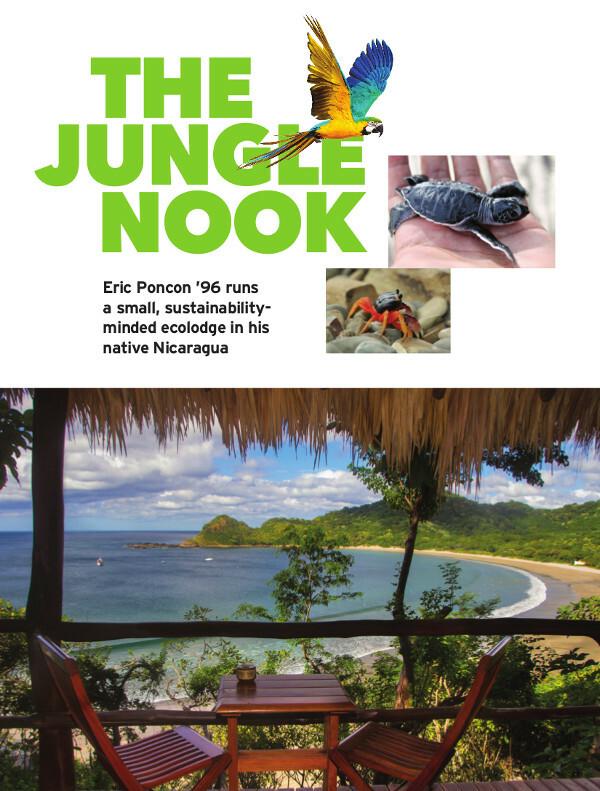 Eric Poncon ’96 runs a small, sustainability-minded ecolodge in his native Nicaragua. 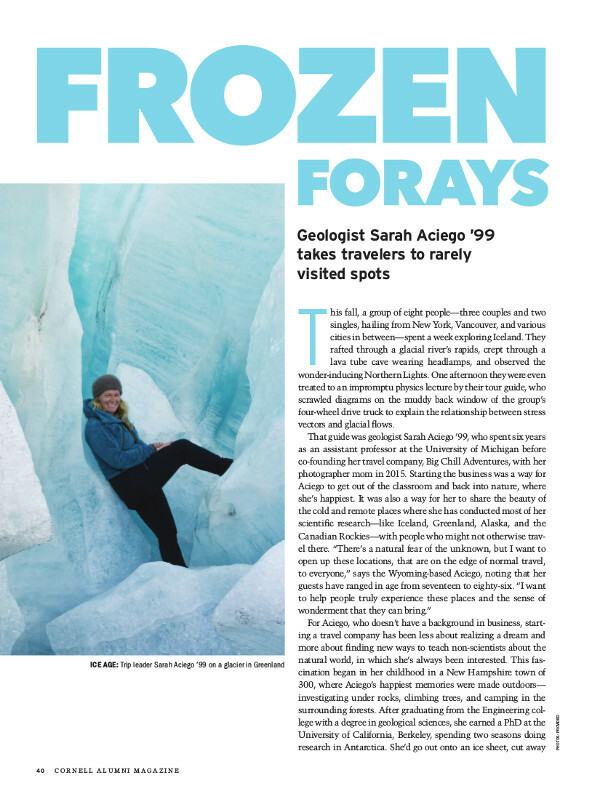 Geologist Sarah Aciego ’99 takes travelers to rarely visited spots. 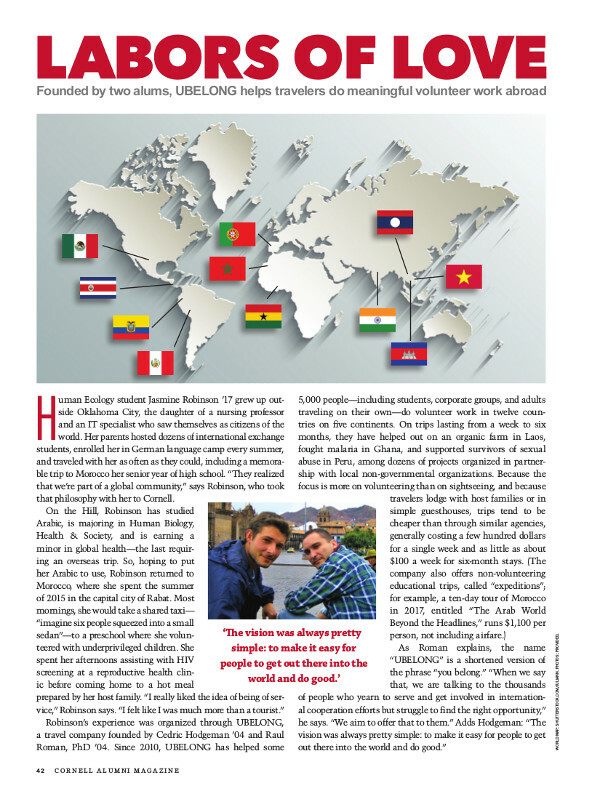 Founded by two alums, UBELONG helps travelers do meaningful volunteer work abroad. 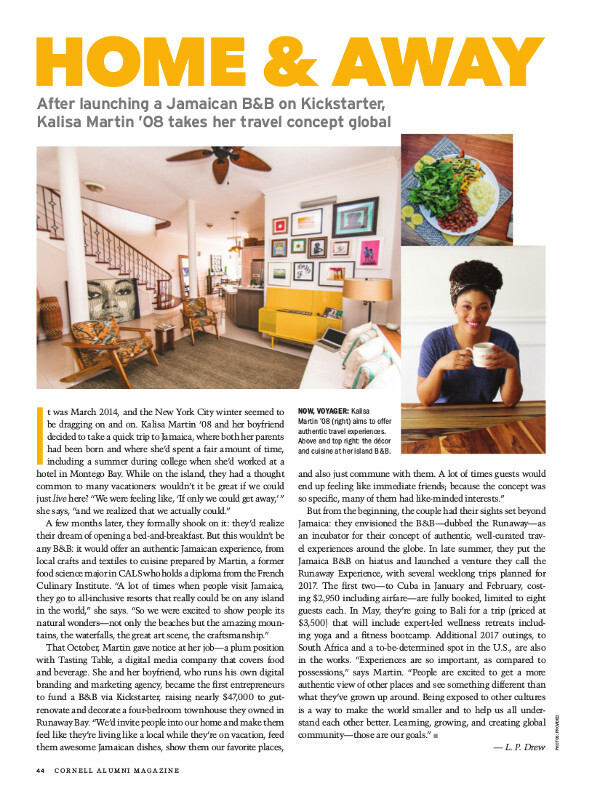 After launching a Jamaican B&B on Kickstarter, Kalisa Martin ’08 takes her travel concept global. 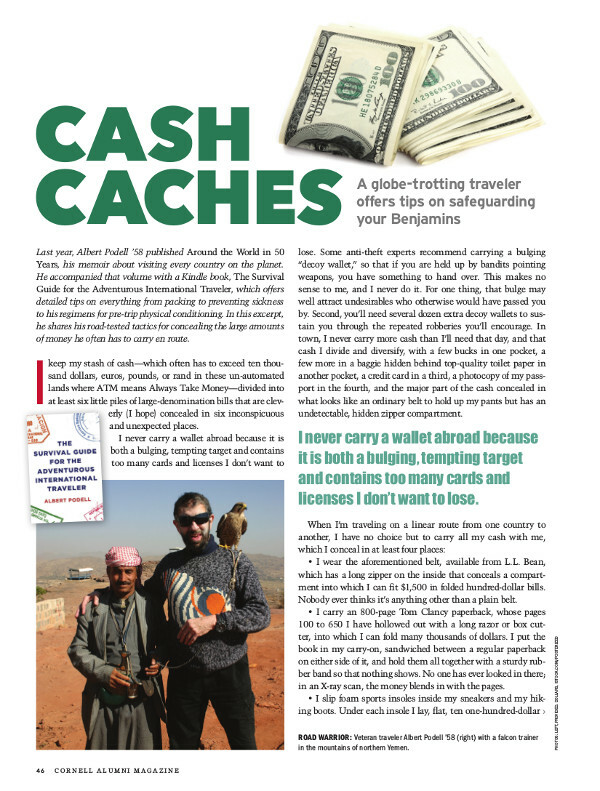 A globe-trotting traveler offers tips on safeguarding your Benjamins. 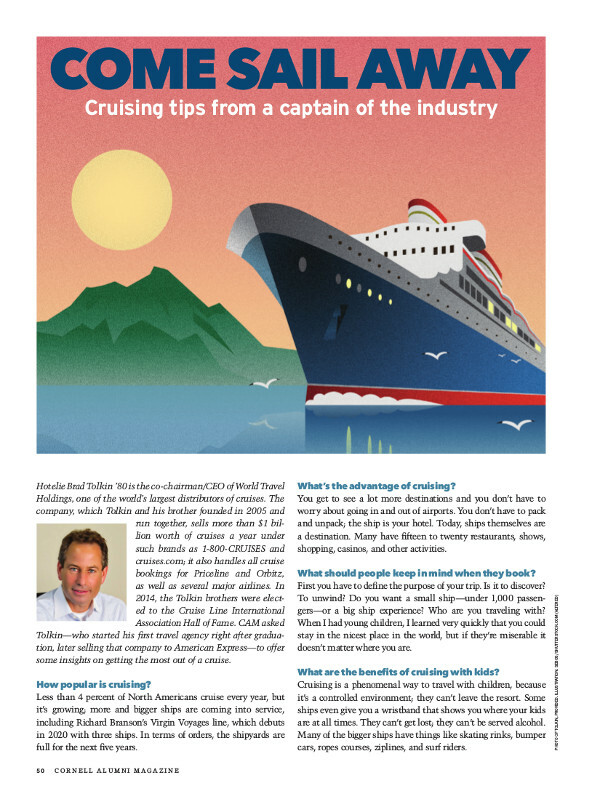 Cruising tips from a captain of the industry. 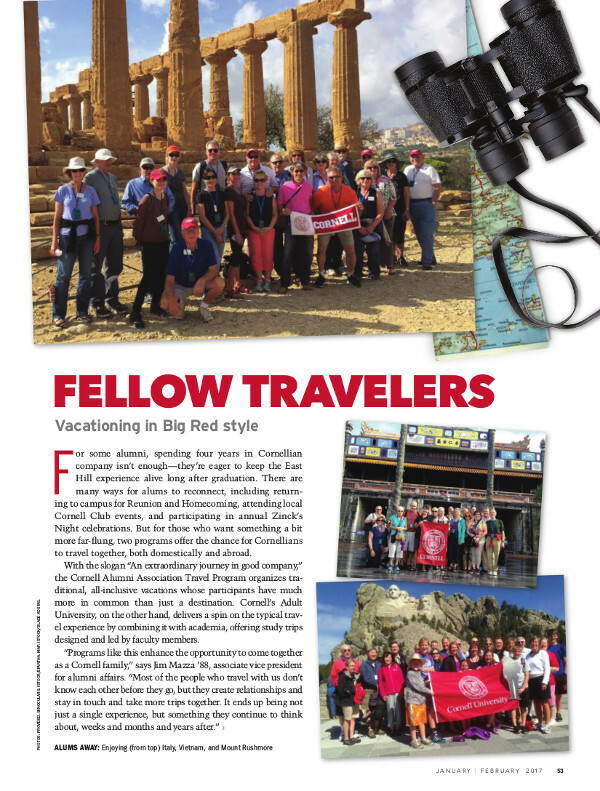 Vacationing in Big Red style. 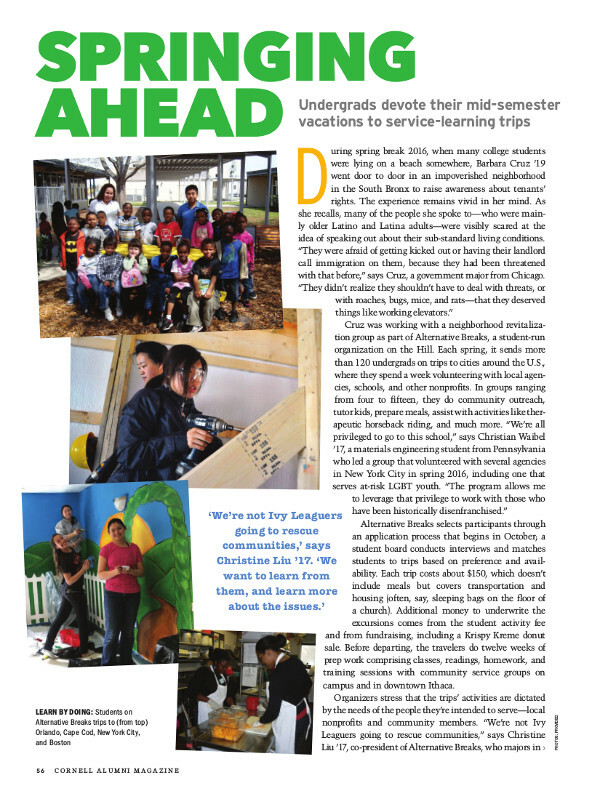 Undergrads devote their mid-semester vacations to service-learning trips. 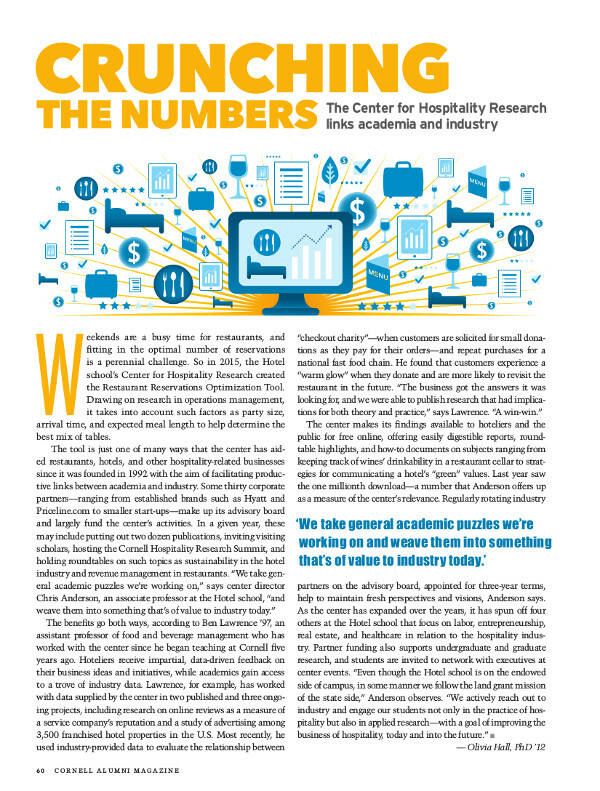 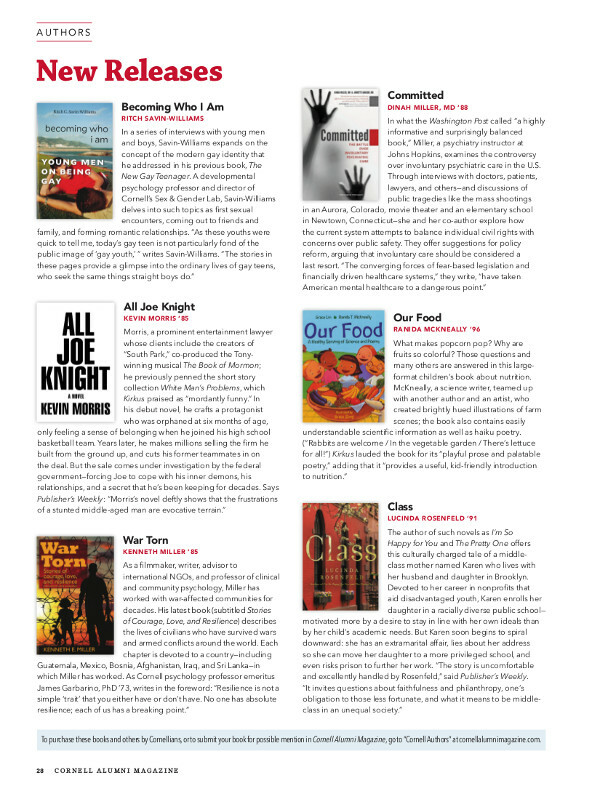 The Center for Hospitality Research links academia and industry. 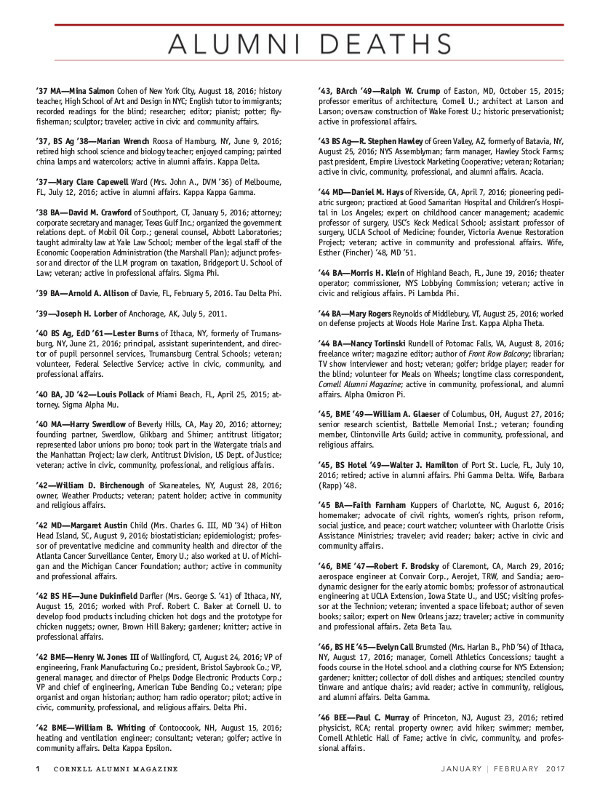 Obituaries received through November 2016. 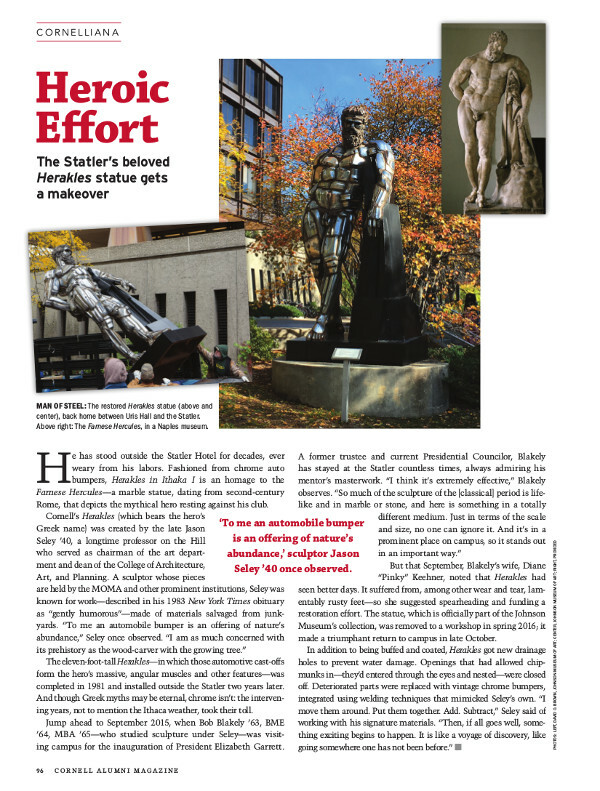 Heroic Effort: The Statler’s beloved Herakles statue gets a makeover. 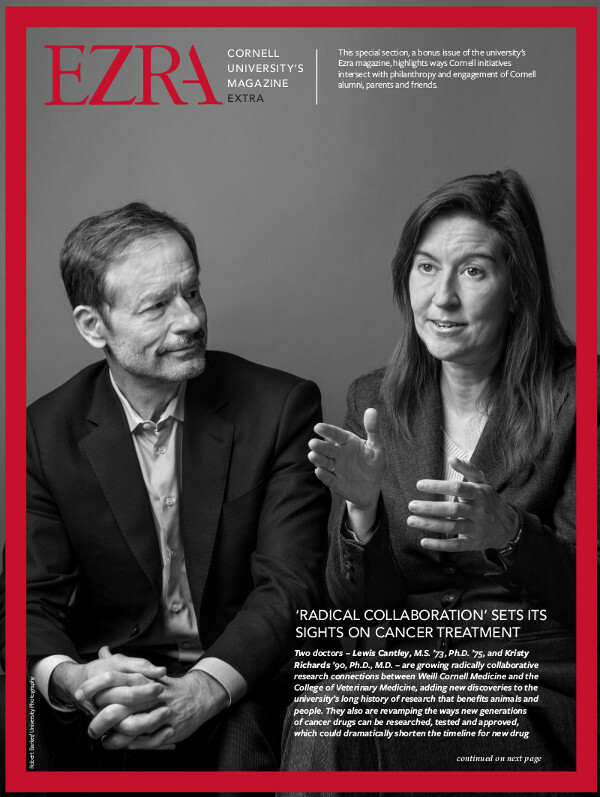 ‘Radical Collaboration’ sets its sights on cancer treatment. 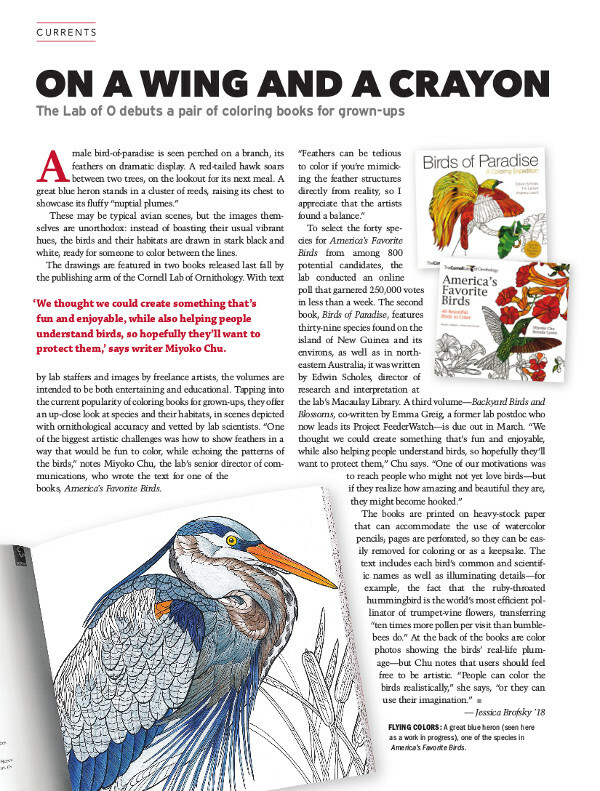 The Lab of O debuts a pair of coloring books for grown-ups. 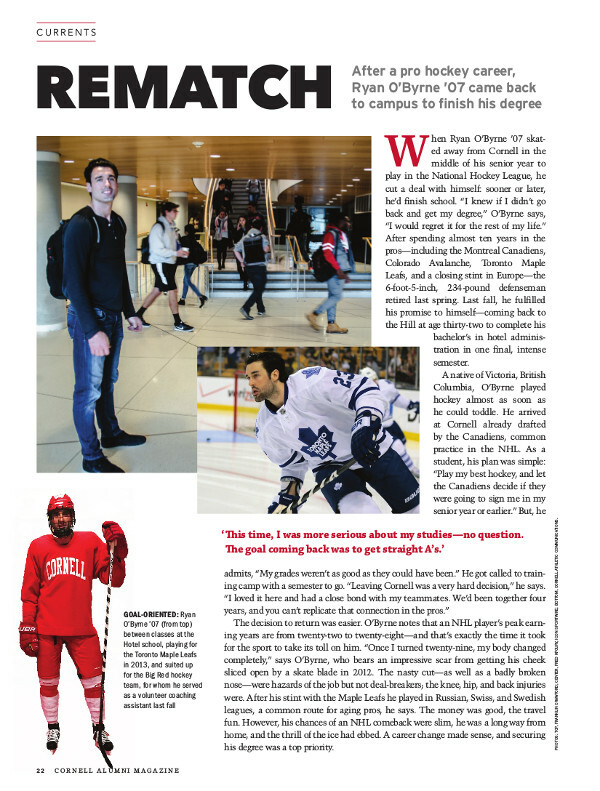 After a pro hockey career, Ryan O’Byrne ’07 came back to campus to finish his degree. 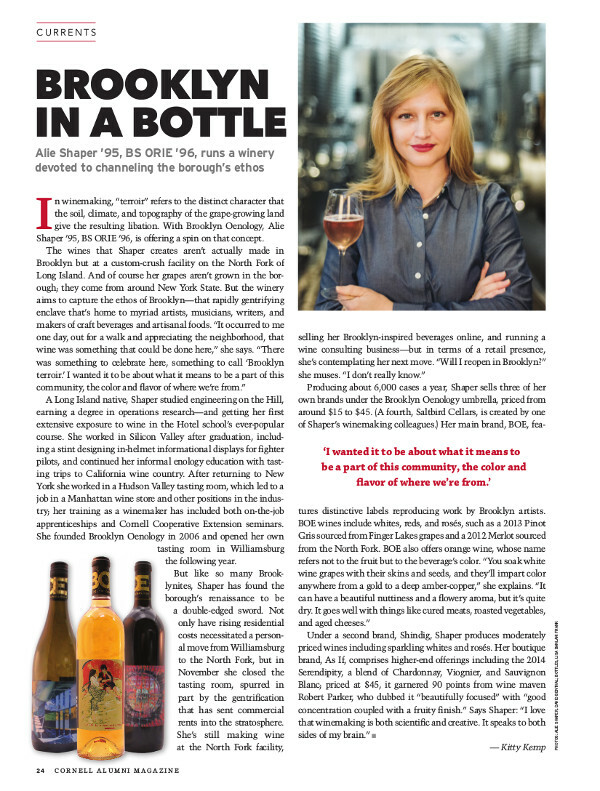 Alie Shaper ’95, BS ORIE ’96, runs a winery devoted to channeling the borough’s ethos.